Hold on - we're working on finding providers that best match your needs! Good news! We've found several providers. Where should we send your quotes? This is the last page of questions. We will use this information to confirm your requirements. Below we look at and compare over 90 companies that currently provide merchant services, accounts and/or card payment processing services to businesses in the UK. If you want to narrow down your choices, we can also help you to compare merchant accounts, PDQ machines and payment gateways. The companies listed below are the 10 most popular (based on search volume) options when it comes to accepting card payments. However, be aware that not all of these companies offer full merchant accounts or a full range of payment processing services. Fees as low as 1.9% + 20p per transaction. Faster checkout no need for customers to enter their debit or credit card details every-time. Accept international payments in 25 currencies. Integrated with many popular shopping carts including Shopify, WooCommerce, PrestaShop and Magento. Also now offers their own mobile credit card machine called Paypal Here. Credit card fees as low as 1.6%. Sell online via completely bespoke online store. Sell offline via Shopify POS. App Store to add extend your eCommerce shop. Buy button, Facebook Shop & Messenger payments options as well. Special Offer: Click here to try Shopify free for 14 days, no credit card required! Handles approximately 42% of UK card payments. Offers full merchant account solutions. Provides local in-store, online and mobile payment acceptance solutions. Trusted by over 16,000 hairdressers, over 24,000 restaurants and more than 9,000 pubs in the UK. Fees of 1.4% + 20p for European credit and debit cards. Fees of 2.9% + 20p for non-European credit and debit cards. Save card details so customers can pay again with a single click. Easily to maintain PCI-DSS compliance for your payments. Mobile card reader from only £19! Flat fee of just 1.75%. No contracts or fixed monthly costs. Flat fee of just 1.75% for chip & pin and contactless payments. Can also accept cards online and by phone using their POS software. Free POS app that works with Apple and Android phones and tablets. No hidden or monthly fees. Offers Online, Face-to-face, phone and invoice payment solutions. Fees as low as £0.59 per transaction (invoice payments). Receive funds into your business bank account within 2 working days. Connect Sage Pay & Sage Accounts to invoices paid instantly. Accept any payment type, including PayPal in 25+ currencies. Provide cash, card and contactless payments – in store, on the phone and online. eVouchers as a way to pay for online subscriptions. Pay for internet purchase in-store with eMoney. Offer terminal-based card payment services via Lloyds Cardnet. UK network contains more branches than all banks, supermarkets and Post Offices put together. Flexible payment options including card machines, over the phone or online. 24/7 UK customer support for help when you need it most. Replace card machines, usually the next day. Install products and services, and train your staff. Gift & Incentive Card solutions. Terminals & POS Management Services including peripherals and supplies. eCommerce solutions including API integration and hosted payment pages. Regularly updated currency rates, reducing risk associated with unfavourable exchange rates. Up to 36 of the world’s most accepted currencies supported. 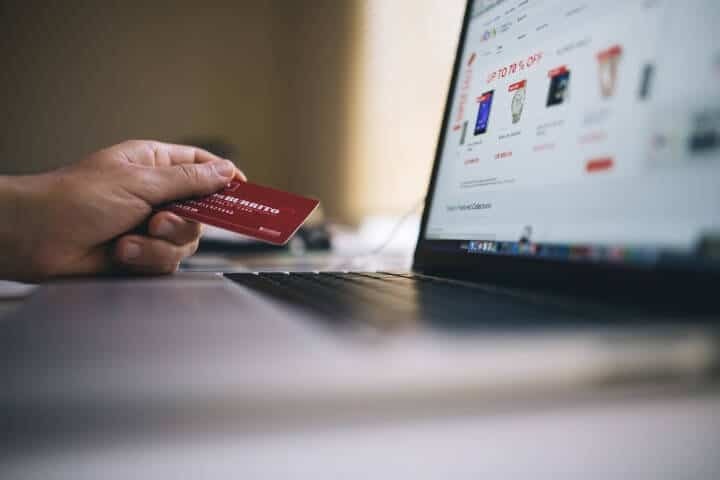 While Worldpay, Sage Pay, Streamline and First Data are the most popular merchant account providers in the UK, the companies listed below also offer the full range of credit card processing services you’d expect from a merchant account. This allows you the greatest amount of flexibility if you want to take card payments whether they are handled online, in-person and/or over the phone. NetPay offers some of the most competitive rates in the UK for merchant services. Award-winning face to face, online and over the phone payment services. Quick setup time, 86% of applications approved within 1 working day. Provide merchant services for over 60,000 small and medium businesses around the UK. Offer capped card rates as long as you’re a customer. Offer next-day card terminal replacement. Handle in excess of £1.2 Billion transactions every year in the UK. Offer short 12 month contracts. Fanfare Customer Loyalty, Offers, and Gift Card Programme. Tailored solutions for specific industries. They are the #1 payment processor for airlines. Every Elavon owned card terminal is enabled to accept Apple Pay. HSBC’s preferred supplier for card processing in the UK. Specific solutions for Education, Hospitality, Online, Retail and Transport. Accept payments online, in-person and by mobile MPOS. Provide solutions to over 45,000 small businesses across the UK and Ireland. Membership Benefits for small businesses, including: Free Legal Advice, Discounted Utilities and Merchant Cash Advance. A range of countertop, portable and mobile card machines. Flexible pricing plans: Pay as you go, fixed monthly and standard. Advice on choosing the right online shopping cart software. NO minimum monthly service charge (MMSC), authorisation fees, premiums for ‘card not present’ transactions or joining fees. Handepay Pledge where they will give you £1,000 if they can’t save your business money. 1.04 billion transactions a year with £61.3 billion card sales every month. Lloyds Bank Business Account holders get a fixed Rate of 1.25% for all MasterCard & Visa Credit & Debit Cards. Desktop, portable, mobile and Anywhere card machines. A range of payment pages that make accepting cards and new digital payments really straightforward. A virtual terminal for taking payments when a customer isn’t present which works on a laptop, tablet or smartphone. No hidden charges with simple, clear and very competitive pricing. Seasonal Card Machine packages for businesses that only operate during the summer. Solutions for face to face, phone and online payments. Solutions to easily accept payments in store, in app, online or over the phone. A single integration for software developers. Price plans and all-inclusive bundles. Handled over 30 billion euros worth of payments in 2014. Offer Clover POS for in-store payments. Offer Authipay to accept online payments. Newer, Faster and more compliant terminals. Funds in your account eh next day. You can easily accept foreign card payments. Accept payments securely online using Global Payment’s Global Iris. Award-winning protection against card fraud. Promise to stand by you through your contract with the approved providers. One product, one contract, one platform; providing access to 30+ payment types across the world, and all fully protected by our intelligent fraud-prevention systems. Simplified reconciliation and account management. Ability to take payments in-person, online, over the phone and mobile and contactless payments. Next day settlement into your Santander Business Current Account free of charge. A UK Helpdesk which is open 24/7/365 days a year. Card transactionsprocessed and settled into your account within 2 working days. Clear and upfront fees with no hidden charges or complications. No Hidden Fees. They do not charge any hidden fees. No PCI, Joining fee, Minimum Monthly fee, Auth fee etc. No ‘lock in’ so it’s easy to change pricing plans. Speed: They process up to 500 transactions each second. Next day replacement service for faulty terminals. The latest technology, offering secure transactions for your business and customers. Free security updates to help keep your customers’ information safe. A range of face-to-face, online and telephone based payment solutions including Pay by Link invoicing and myCurrency payments in 21 currencies. Ability to allow payment with cashback. Multi-channel payments from face to face to online. Supports local payment methods from around the world, across all payment channels. Process contactless payments – including Apple Pay. Ability to accept all major credit and debit cards. Flexible product options that can be tailored to best meet your specific requirements. Access to your account online, in branch and over the phone. Support from their business management team. Free text message alerts service, direct to your mobile phone. Free and no obligation price review. Not tied to one single provider or company. Can help with merchant accounts, chip and pin machines, mobiles payments, payment gateways and more. iZettle is currently by far the most popular dedicated card machine provider online. And while they offer an amazing product at a great price (card readers are just £25! ), they are by no means the only option. The companies listed below focus primarily on card machines and are ideal if you only want to take payments in person. This is Paypal’s mobile card reader. And while Paypal Here is more expensive than the iZettle reader, it does integarte directly with your Paypal account. Card Reader normally costs £75, but you can buy on Amazon for just £69!. Fees range from 2.75% to as low as 1.50%. WorldPay Zinc is market leading merchant account provider WorldPay’s discount mobile credit card reader. Chip & PIN Keypad just £39.99 (VAT included). Fees from 1.95% to 2.75% per card payment. Also allows you take payments over the phone. Verifone is one the largest providers of traditional PDQ card terminals in the world. They currently offer products from basic countertop PDQ machines to fully mobile and portable solutions. Hardware solutions include a range of PDQ machines, Multimedia and Unattended Payment Solutions. Also offer Enterprise Payment Software to handle payments, online as well. e355 solution allows you to accept Alipay, China’s number one payment app with 450 million users! Ingenico is another large provider of standard PDQ payment terminals. They operate in 170 countries and can help you accept 300+ payment types. In-store payment solutions include: Desktop, Portable and wireless terminals, Integrated POS, Mobile Payment Solutions, and Unattended terminals. Also offer Online and Mobile Payment solutions. Help increase sales with their Payment and Transaction management services. Payleven is another popular mobile card machine. However, while you can still purchase their card readers online, they were recently purchased by SumUp (see below). Card reader can still be purchased on Amazon for £70. SumUp offers a very simple and easy to understand solution for businesses who need a mobile card machine. Flat fees of just 1.69% no matter how much or little you process each month. Accept all UK credit and debit cards. Card reader is just £29 through this link. Transax has been in business since 1986. They support 18,000 businesses in the UK, Ireland and France and enable over 2 million transactions every day. Packages from just £4.75 per week. Next day payment option, no matter who you bank with. The latest machines with Contactless & Apple Pay as standard. While Shopify is best know for making it very easy to set-up your own e-commerce website to sell things online, they’ve recently branched out to in-person payments. They offer both a card reader and POS solution. Credit card rates are as low as 1.5%. Tap & Chip Reader is just £59. Ability to track and manage inventory across channels. Smarttrade App is a truly unique in-person payment solution. Currently they are the only company in the UK that allow you to accept card payments without a card reader, just your Smartphone. Fees as low as 1.75% + 20p. Option to pass on card fees to customer (so you don’t have to pay them). 30-day free trail to get started. Static, wireless (Bluetooth) or mobile (GPRS) terminals. Virtual Terminal using any web enabled device. Paypal UK, Shopify, Stripe, and Klarna are the biggest players in the online payment processing arena. However, the companies and suppliers listed below also offer payment gateway and/or other online payment processing service. They can help you accept card payments if you’re only planning on selling online. If you’re planning on selling by other methods in addition to online, you should jump back up to our list of merchant account providers. EKM is an e-commerce platform that allows you to easily set-up an online store and includes integrated payments or the option to use your own merchant account. Plans from £24.99 per month. Payments power by Klarna (see above) with rates as low as 1.99%. Pay after delivery for online orders. Buy Now, Pay Later options for customers. Offer all other major popular payment methods. Works with a range of partner solutions including EKM and WooCommerce. Amazon Pay (formerly Amazon Payments) is Amazon’s payment solution that uses their checkout experience. Fees are 3.4% + £0.20. Easy add their payment option to your checkout. Protect your customers with the Amazon A-to-z Guarantee at no additional cost. Founded in 1997, Secure Trading claims to be one of the world’s leading independent payment service providers. Online Payment Gateway with multiple payment options. Help with PCI DSS Compliance. Can help you get set-up with a merchant account. Global Iris is Global Payments’ (see above) online payment solution. Global Iris Re-direct is their hosted payment solution. Also makes it easy to take telephone payments. Nochex has been in business since 2001 and allows to accept online payments without a traditional merchant account. Get paid by invoice with their MyInvoice service. Bespoke solutions for online food ordering. DataCash has been part of Mastercard since 2010 and forms the basis of their payment gateway services. Accept: international credit and debit cards, online and offline bank transfers, e-wallets, local bank cards, gift and pre-paid cards, domestic Direct Debit and cash alternatives. Offer Hosted Checkout pages, to make PCI compliance easier. Bespoke solutions for the Airline, Telecommunications, Retail, Gaming, Travel and Leisure, Entertainment industries. Braintree Payments is a Paypal company that provides a variety of services to help businesses sell online. Standard fees of just 1.9% + £0.20p. Accept 130+ currencies with multiple settlement currency options. Seamless checkout experience from Hosted Fields to our Drop-in UI. Managed Direct Debit for organisations without a Service User Number. Bureau service for organisations who hold their own Service User Number. SEPA Direct Debit, collect regular recurring payments for products and services within Europe. Online Payments, no need for extensive integration work, and you don’t have to handle, transmit or store sensitive card details. Dynamic fees based on transaction volumes. Enterprise features as standard like a ring-fenced trust account, Your name appears on your customers’ bank statements, Paper to paperless sign-up and omnichannel support. 2Checkout focuses on helping merchant accept mobile and online payments from buyers worldwide. Rates are 2.4% + 30¢ for sales to customers in the UK. Support 8 payments types, 15 language options and 87 currencies. Realex Payments, is a division of Global Payments, a leading worldwide provider of payment technology services. 3 hosted online payment solutions embedded, lightbox, and redirect. 9.5 out of 10 rating on Trustpilot. WePay only does one thing: payments for platforms. Their industry-leading risk technology, means they’ll take the liability for fraud off your platform, and bear any costs. Seamless checkout with no redirects. UPG (Universal Payment Gateway) is a UPG plc company, which is now Secure Hosting and Payments a wholly owned subsidiary of Monek LTD (see above). End-to-end solutions for card processing. No longer appears to be accepting new customers. Bluesnap provides payments solutions for eCommerce, Web & Mobile Development. No Monthly Fees, No Hidden Costs and No Cancellation Fees. Promise to meet or beat your current rates if you switch to them. Allied Wallet provides a global payment gateway solution for businesses that need to accept online payments. Fraud Prevention Services and PCI Level 1 Compliance. Established in 1999, Cardstream is an independent white label payment gateway provider. Ability to rebrand the payment platform completely, including the management system, payment forms, modules and billing. PCI DSS Level 1 Certified. Simple integration with APIs and SDKs. Authorize.Net enables merchants to authorise, settle and manage credit card transactions via web sites and mail order/telephone order (MOTO) call centres. Costs £19 / month with fees of 2.49% + 15p. Automated Recurring Billing offered as a free add-on. No Hidden Fees, No Annual Renewal Fees and No Cancellation Fees. iPayment offers a variety of payment solutions to small businesses. Offer their powerful Expinet payment gateway. Checkout.com is a software platform that handles every part of the payment process. Payment gateway is fully integrated with some of the most popular shopping cart platforms. London & Zurich primarily process Direct Debits, however they do also offer payment gateway services. Pulse is built for a quick business expansion. Developers can integrate Pulse SDKs and APIs, empowering their POS application. Works with Android, iOS, Windows and Web-based operating systems. QuickBooks Online Payments has replaced Intuit Pay and offers online payment options from PayPal & GoCardless. Standard PayPal merchant fees (see above). Ability to set-up Direct Debit for repeat customers. Payments and fees automatically recorded in QuickBooks. Planet Payment delivers innovative payment processing solutions. Offer international payment, transaction and multi-currency processing services. PCI compliant international payment platform. Solutions deployed at 188,000 active merchant locations in 22 countries. Operating since 1998 CCNow is a secure online retailer that bridges the gap between shopping online and selling online. UK fees of 4.9% + $0.40. PayLane is an online payments provider that helps e-businesses accept online payments as smoothly as possible. Fees of 2.8% + 0.20 GBP. The companies listed below provide payment and merchant services to businesses deemed high-risk. While most will generally accept all types of merchants, they generally charge much higher fees due to the higher processing risks involved. CCBill have been in business since 1998 and process more than a billion dollars worth of transactions annually. Fees range from 3.9% + $0.55 to 14.5%. Different plans for online businesses, dating, nonprofit, high-risk, live entertainment and subscriptions. Accept bitcoins with a flat 1% settlement charge. Bank deposits in 38 countries, settled in US Dollars, Euros, GBP. Verotel has been in business since 1998 and enables more than 50,000 high-risk webmasters to build their online business. Rates on a sliding scale for premium users. Accept Visa, MasterCard, JCB, Discover and Diners Club. SpectroCoin is an all-in-one solution for Bitcoin and can help you start accepting them at your business. Accept bitcoins online and at brick and mortar stores. Integrate easily through API or eCommerce plugins. Zombaio focuses on payments for the Online Content and Entertainment Industries. Rates from 4.9% to 10.9%. Third party billing solution, this means that you do not need a merchant account. Pays card scheme registration fees for all clients. Epoch is a global provider of online billing services. Processing fees are based on volume and automatically adjust to your current sales figures. Fees range from 13.25% to 15.00%. Do not require a security deposit nor do we withhold a reserve. PayWorld is a subsidiary of Frontline, a company that has been developing and offering Business IT Solutions since 1989. Rates from from 1.8% (Low-risk merchants only). Instabill was established to assist merchants in obtaining high risk and offshore credit card processing solutions. Offer Offshore and international banking. Adhere to the guidelines set by Visa, MasterCard and American Express. Web Merchant has been offering safe, secure and reliable payment processing since 1997. Payment Gateway is fully PCI DSS Compliant. Accepts 95% of high-risk business who apply. GSPAY specialise in providing offshore merchant account and third party merchant account payment solutions to international businesses. Fees range between 4-10% depending on industry. No setup and monthly fees. Payouts are weekly, only 1 week in arrears. ccNetPay’s primary focus is arranging merchant accounts with the acquiring banks in EU, US and Asia. Fees between 7.50%-9.00% + $0.75-$1.00 for offshore high-risk clients. Offer a Direct EU Merchant Account. The following companies offer a variety of alternative and other payment processing services you may also want to consider to add incremental revenue to your business. Skrill has been making digital payments simple, secure and quick since 2001.
paysafecard allows you to pay for things online without a bank account or credit card. Generate incremental revenue with new customer segments. Integrate directly or through a verified Payment Service Provider. Over 500,000 sales outlets worldwide. Paysafe claims to be building the future in payments with an ever-evolving platform. A large range of payment processing solutions. Digital Wallet and Stored Value solutions. Pay later solutions for the payment of invoices, instalment payments and monthly invoices. 100+ payment options with a single integration. Use Google Wallet to pay friends and family. Will soon be offering effortless checkouts for your customers in your app and on your website. With just a few clicks, customers can use any credit or debit card stored in their Google account. Payza is a leading global online payment platform that specialises in e-commerce processing, corporate disbursements, and remittances for individuals and businesses around the world. Used by over 100,000 eCommerce businesses. Integrate Payza Payment Buttons in a matter of minutes. Groupon Merchant is Groupon’s solutions for businesses who want to sell using their platform. Easy to redeem Groupons using their mobile apps. Drive revenue through full-priced offerings using your Groupon page. Used by more than 1 million merchants worldwide. WebMoney Transfer is a global settlement system and environment for online business activities, established in 1998. Accept WebMoney via a widget or button on your website. Built-in payments for online and mobile games. Use a Payment Gateway to get paid to your bank account. Ogone was a Belgium-based online payment service provider, but has been part of Ingenico since 2014. Create a smooth checkout experience for your website. Take payments through your mobile app or mobile website. Process phone and mail payments and get instant approvals. Payzer is an american company offering a Payzer an all-in-one Financial Tool that helps contractors grow their business! Accept credit cards, debit cards, and electronic checks in the field or at the home office. Make payments to other Payzer users, and make bill payments to anyone. Debit card rates as low as 1.39%. Payline Data is another American company for businesses that need a more flexible and friendly payments partner. Start account starts with fees of Interchange + 0.5% plus $0.20 per transaction. Also offer eCommerce and Enterprise plans. Please note we have affiliate relationships with Shopify, Worldpay, iZettle, Square, SagePay, Netpay, SumUp, SmartTrade, EKM, SmartDebit, 2Checkout, Authorize.Net, London & Zurich, Verotel, Spectrocoin. This means they pay us a commission if you sign-up to them via a link from our website. This comes at no cost to you, but we feel we should let you know.